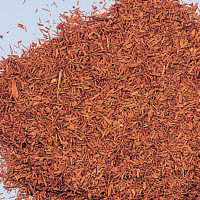 Some athletes say that yohimbe helps boost metabolism. As a stimulant, yohimbe may theoretically increase fat metabolism. The main alkaloid in yohimbe is yohimbine, which can be toxic if used in excess amounts. This alkaloid blocks a particular receptor that increases sympathetic nervous system output so you get more adrenaline and, thus, increased metabolism. Warning: This stimulant puts stress on the heart, which is especially dangerous for anyone with a heart condition. Yohimbe should only be used under the supervision of a doctor.